At the new Dream Downtown's rooftop lounge, the steep price of even one drink comes with an extra kick: Gratuity is included. "20% has been added to your check for your convenience," a receipt from the luxury hotel bar reads. Same goes at the Mondrian SoHo's Mister H, a late-night spot where a 20% tip is added automatically for table service and 18% at the bar. And order anything at the two bars at the Paramount Hotel in Times Square and there's no worrying about doubling the tax or other mental acrobatics: the tip's been precalculated and tacked on. Though still small in number, a growing number of establishments—particularly hotel bars and nightclubs—are including the gratuity in their bills. The practice appears to especially be catching on at upscale bars and clubs where drinks are already pricey, and at places whose patrons include a significant number of foreign tourists who may not be savvy about American customs. Not everyone is happy about the trend. Or even aware. "I've never heard of auto gratuity at a bar when you're a party of two," said Sarah Riley, a 29-year-old free-lance web designer who was at PH-D, Dream's rooftop lounge, on a recent night this week. "It was only when I went up to close my tab that the bartender said gratuity was included. I won't be coming back to pay $18 for a $15 glass of wine where I have no discretion on how much to tip." PH-D representatives didn't return a call seeking comment. 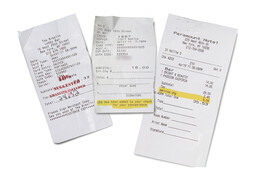 By law, restaurants and bars in the city are allowed to include gratuity so long as they "conspicuously post" any mandatory policy prior to the consumer ordering, according to a spokeswoman for the city Department of Consumer Affairs. The department doesn't track the number of establishments that do so but handles complaints about gratuities. In fiscal year 2011 it received 11 such complaints, up from three the previous fiscal year. Complaints about including tips in bills—called auto gratuities in the industry—are common fodder on food blogs, such as Eater NY. When the blog chronicled a complaint at Jimmy at the James Hotel in SoHo last month, David Rabin, a partner at the rooftop bar, said he had already scrapped it. In a phone interview with The Wall Street Journal, Mr. Rabin said auto gratuities are "kind of seeping through the industry." "It started with restaurants for groups of six or more. And now it kind of goes on at all the big clubs," he said. Mr. Rabin said early this summer, unbeknownst to him, the waitresses convinced the former general manager to include 20% tips for all service. After getting complaints, "we immediately stopped it, and the staff wasn't very happy," he said. Mr. Rabin said a weeks-long evaluation showed staffers were averaging tips of 19% without auto gratuities. Now, they include tips only for bottle service. The practice isn't common in restaurants, though an increasing number have started including gratuities for parties of six or more. Per Se, Thomas Keller's fine-dining restaurant, is one of the few that includes a flat 20% service fee for parties of all sizes. At the popular Ace Hotel's Lobby Bar, an 18% suggested gratuity is included, stamped on the receipt and printed on the menu. The reasoning is simple, says Amy Cole, general manager of food and beverage in the hotel. No one was leaving tips. "We started adding a suggested gratuity so we could keep our awesome staff," she said. "No one appreciates getting stiffed." If a guest objects or wants to tip a different amount, they take it right off, she said. Some operators attribute the auto-gratuity policy to the large number of foreign patrons. "Gansevoort Park Avenue caters to an upscale, international clientele and, in order to keep a highly professional, skilled bar and service staff, we have a suggested added gratuity of 20%," said Elon Kenchington, chief operating officer of the Gansevoort Hotel Group in an emailed statement. Customers can ask to have the tip modified. That wasn't going over well with some patrons on a recent night. "It's outrageous. We had a few drinks and didn't see the policy posted anywhere and then we get the check with the built-in gratuity," said Siyu Wong, 32, a student and Brooklyn resident. Others didn't seem to mind. "It actually makes it easier when I pay," said Mark Whittle, 29, a retail banker and regular. "I don't have to think. If folks can't pay 18 to 20% for a drink at a place like this, there are plenty of inexpensive, dive bars in New York." (Vanilla Creme Filled Wafer Cubes) - 8.82oz.